HP: “Meet Kristie and Jess – The Bug Chicks, two women trying to change the way kids think about bugs”. Hi, I’m Kristie. And I’m Jess. And we are the Bug chicks. We are a nano-business. Windoes 10 really helps us get the word out about how awesome bugs are. Kids learn to be brave and curious and all kids speak the language of bug. Hey Cortana, find my Katydid video. Oh! This is so good. If you’re trying to teach a kid about a proboscis, just sketch it on the screen. I don’t have a touch screen on my Mac, I’m jealous of that. 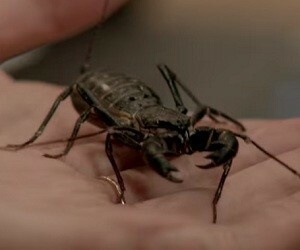 You can put a big bug in a kids hands and change their world view.